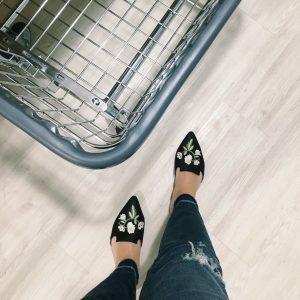 Let’s talk about laundry. 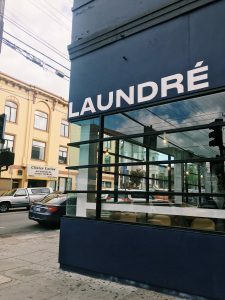 I’m going to share about this new laundromat (or “laundry experience”) here in SF called Laundré , but first, I want to take a step back and talk dirty about this whole laundry topic. I’ve lived in San Francisco for 6+ years, and never had laundry in my actual apartment unit. Sigh. For those of you who don’t live in SF, you probably think this is INSANE (and it kind of is), but it’s pretty common here. The “lucky ones” have a washer and dryer or two somewhere in their building. Often the laundry in these buildings is located in a creepy basement (at least that was the situation at my last apartment) and you still have to pay for laundry with quarters. WHO HAS ENOUGH QUARTERS SITTING AROUND TO DO LAUNDRY, ANYWAY? ? And, I know just a few people who have laundry inside their actual apartment unit, but that typically only exists when people live in new construction. The SF rental market is insane, and E and I knew we would have to compromise on certain things when we moved into our place. 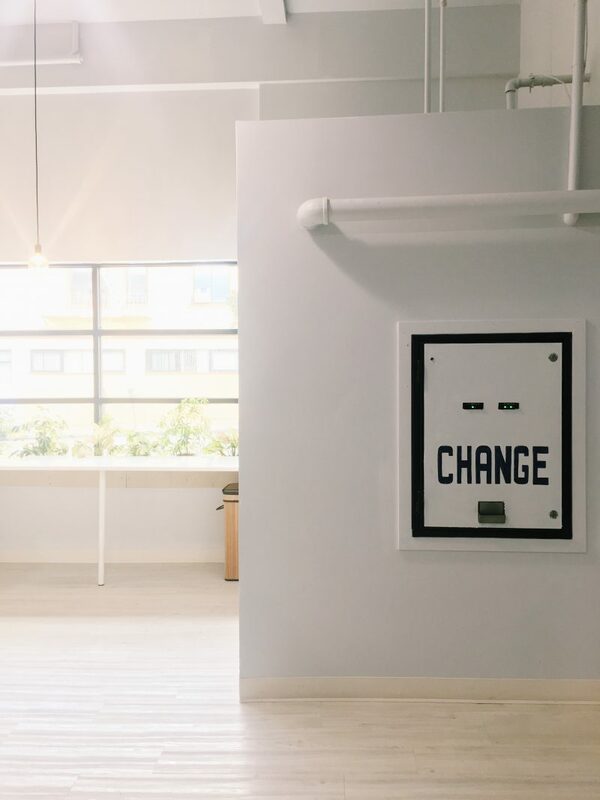 While we love a lot of things about our place (our location, hardware floors, garage ? ?, natural light and big windows…), laundry didn’t make the cut, unfortunately. For the past two-ish years, we’ve tried a few different laundry solutions. 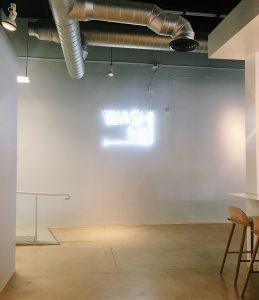 Services like Rinse – expensive ($1.75/pound plus delivery fee), 2-3 day turnaround and extreme inconsistencies in the quality of the wash and what clothes look like when they come back. I’ve had good experiences, but other times when the clothes literally just aren’t clean ? Wash and fold service – the best option of the three at about $1.25/pound for wash and fold, but this can still add up, especially if have a lot of laundry. Plus, larger items like towels, sheets and comforters are heavy, so the price can add up quite quickly. Sometimes, they charge a flat rate for items like blankets, bath rugs, etc. The back portion of the Laundré space is an elevated, upscale version of your neighborhood laundromat. The machines are much higher quality and faster than “regular” machines, so when your stuff comes out of the dryer, it’s almost fully dry, so you are only spending 20ish minutes waiting for clothes to dry vs. the usual 45-60 minutes. Laundré has five different sizes of washing machines (even one that holds 75 pounds – EIGHT loads of laundry ?) so you can get A LOT of laundry done in a super short period of time. 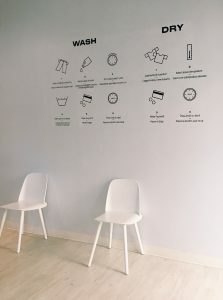 They also give you free soap with every wash, so there’s no need to bring your own and you don’t have to pay with quarters. ?? They accept credit cards, or you can preload funds onto an app and pay that way (kind of like the Starbucks app). And, if you reallllly want to pay with quarters, you can. ? 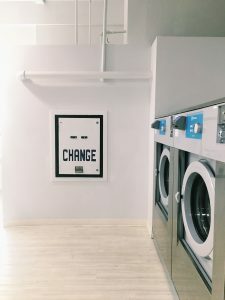 And, this better quality and service, as well as much better overall environment, doesn’t mean it’s more expensive than your “regular” laundromat. The prices are right in line with what you would usually pay for laundry; washing and drying two loads of laundry costs about $6-7 total. E and I went to do laundry this past weekend and did about four loads of clothes and every towel, sheet, pillowcase and duvet cover that we own. It took an hour TOTAL from start to finish, and cost us less than $30. Laundré also has Wash and Fold service if you just don’t want to laundry, period. During the month of November, it’s only $1/pound (INSANELY CHEAP) but after that, it will be $1.50/pound for a two day turnaround. Here’s the extra fun and unique part! 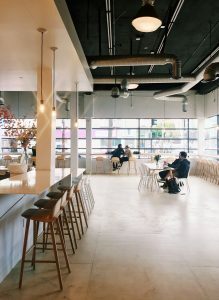 The front of the Laundré space is a massive, minimal and gorgeous coffee shop and cafe. They serve coffee from Sightglass and pastries and quiche from cult-fave spot Vive La Tarte (which has some of the best pastries in the city). This is the ONLY place in the city you can get Vive La Tarte pastries outside of VLT itself! ? They have wifi too and lots of tables and seating options for you to get work done or just read and relax. The cafe gets great natural light with the massive window walls, and it sits right on the corner – perfect for people watching! ✔️ Multi-task! You can read, catch up on emails, sip a latte, whatever while waiting on your laundry because the environment is truly gorgeous and serene. Thanks for reading! Check out Laundré’s site here and on Instagram @laundre.